We acknowledge that your dream kitchen may appear a long way off right now; there is a lot to contemplate and some important decisions to make along the way. To make things seem less inconvenient, we offer our expertise and proficiency in Kitchen Cabinets design New York to help you add a touch of elegance to kitchen space. Furthermore, as a part of our full-service guideline, an appointed Kitchen Cabinets Westport designer of Spectra Design will be with you at every step of the way so that you can enjoy the elegance of perfect kitchen. Each luxury kitchen we build is an affiliate to assembling the elements for the multi-layered design of your kitchen. 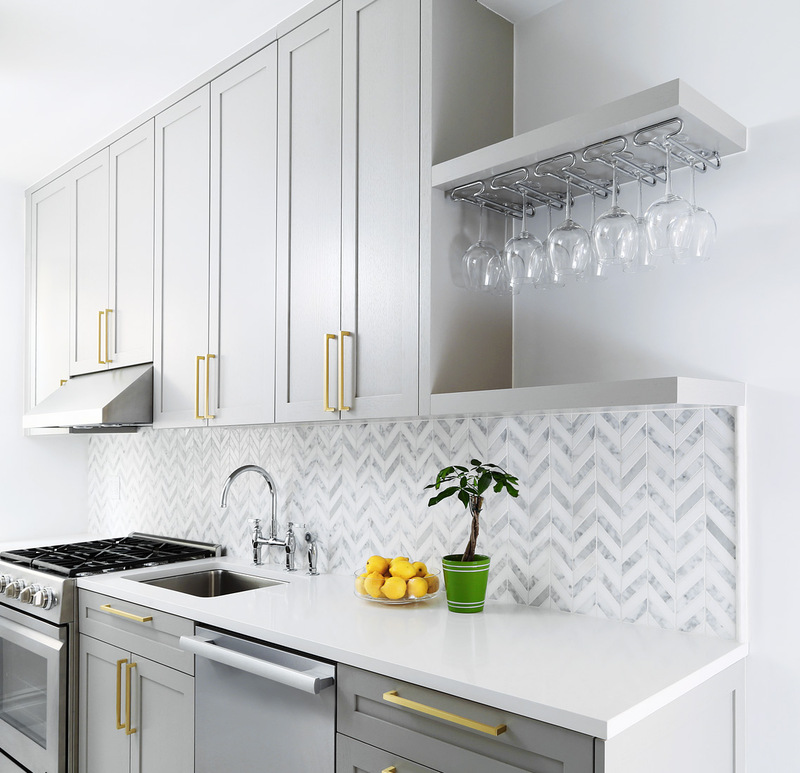 Simply a few of the ingredients that go into our stylish kitchens consist of; splashbacks, taps, sinks, and islands in ceramic tiles or color blocked glass. As well as adding to the beauty of the kitchen, there are smart kitchen cabinets Greenwich storage design and carefully considered the combination of drawer dividers or door handles. Which taps? Which worktop? Which kitchen finishes (matt, hand painted or on-trend metallics)? Which kitchen lighting or cabinet refacing? There are so many options, but since our kitchen styling experts are at the lead of kitchen design, they are acquainted with all the best kitchen materials and latest smart appliances to accomplish the right amalgamation for you. Besides, our upscale Kitchen Cabinets New York designs in elegantly painted matt lacquer, antique brass or veneers, our designers can advise components you may not have knew existed or thought about as well as the significant functional elements that create the beautiful designer kitchen space. Our ease of accessibility to materials & professional approach makes it a piece of cake for us to offer our valued customers with an enormous range of materials, styles, and finishes which will add the much-desired charm to their kitchen. It allows us to be individually flexible and build several finished that are exclusive to our client’s requirement. Appropriate space renovation has a significant part in creating efficiency in choosing the proper home storage choices for your kitchen, bathroom, office, and entertainment facilities or bar areas. Storage projects vary in size, place, space, budgets and organizational demands, and above all, customer expectations. Kitchen Custom Cabinetry Darien CT reflects the maximum degree of storage details with optimum flexibility in style and personal expression explicitly made for a single client. Our Kitchen Custom Cabinetry Fairfield CT provides the chance to accomplish the specific storage choice look and match by supplying you with the opportunity to choose wood species, color, complete, door designs, accessories, alterations, and layout embellishments. Our space planners and cupboard designers work with you to make custom fitted storage choices according to your unique requirements. With Kitchen Custom Cabinetry Greenwich CT, you as a customer make choices for cabinetry that’s constructed to your precise specifications and detail. Each inch of this project is made with exact specifications on cabinet height, width, and thickness that correspond to customer requirements. Along with traditional custom cabinetry plans, individual furniture pieces might be designed and constructed to highlight additional cabinetry applications. Kitchen Custom Cabinetry New Canaan CT; if they are inserted to the kitchen or another room in the house, is an investment in the house and raises the homes worth. A couple of the most significant selling points of any house are the kitchen cabinets and accessible storage space throughout the house. Professional designers can work with you from beginning to end, making beautifully designed and well-assembled custom cabinets act like that will eventually become the focal point of any house. While Kitchen Custom Cabinetry Westport CT reflects the higher end of available cupboard storage options, other alternatives can be found in the market. Always, remember we are just a call away. Ask our kitchen experts for photos of our beautiful kitchen designs and cabinetry by directly reaching us out via email or filling the form or over the phone.